Samhain is, by many accounts, the most important calendar festival in ancient Ireland. It was considered the beginning of wintertime, and the dark half of the year. Its opposite festival was Bealtaine, in May, contrasting Samhain with the renewal of life and the blossoming of many trees and flowers. One of the most fascinating aspects of Samhain is its endurance in popular celebration. 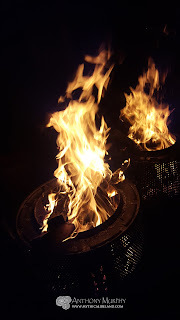 Today, we continue to celebrate Samhain as Hallowe'en, when we light bonfires, set off fireworks, and play games. The lighting of fires at sacred times in the calendar is a practice that is very very ancient. In this video, I speak about Samhain and its celebration, and its origins. There is a reading from the work of Celtic scholar James Mackillop, on the importance of the festival of Samhain and how many things that happen at this sacred time of year are highlighted in the ancient texts. Every third year, an important Feis or gathering was held at the Hill of Tara on Samhain. At the nearby Tlachtga, or Hill of Ward, the lighting of the Samhain fires was a fundamentally important act. That ceremony has been reestablished in modern times. Samhain was a time when it was thought most favourable for a woman to become pregnant. In Mag Slécht in Cavan, the "principal idol" of ancient Ireland by Christian scribes, Crom Crúach, was worshipped. It is suggested that human sacrifices might have been offered to Crom Crúach, who was in fact called "Samhain" by some scholars. Significant action that takes place at Samhain is highlighted in some of the early Irish texts. For instance, it is at Samhain that the Fomorians extract their taxes of corn, milk and live children. The demon Aillén mac Midgna came to Tara every year at Samhain to burn it down, until he was eventually defeated by Fionn Mac Cumhaill. 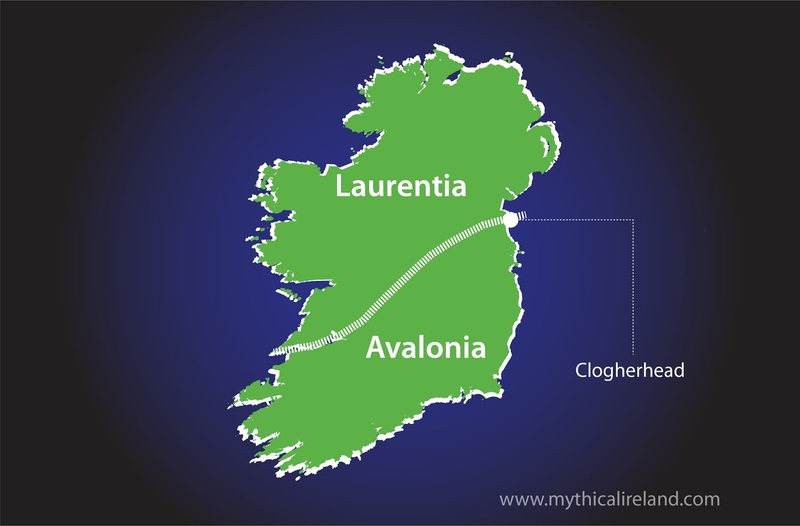 A similar demon, known as Aillén Tréchenn (from trí ceann, three-headed) came from Cruachan in Roscommon, and caused havoc in all of Ireland, especially Emain Macha (Armagh) and Tara. The warrior Cúchulainn, who we encounter in the Táin Bó Cuailnge, encounters otherwordly damsels at Samhain, and of course this was the hallowed time of year when Aongus Óg and his otherwordly lover Caer flew off together in the form of swans (see the Cygnus Enigma). Sunset around Samhain from the ancient burial mound of Knowth/Cnogba. 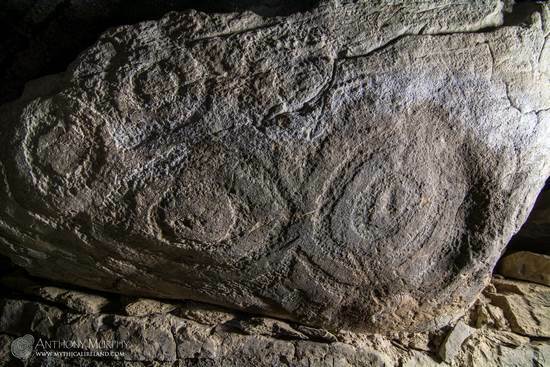 Samhain was also the time when Midir whisked Englec away from Knowth/Cnogba, according to the Dindshenchas text about how that ancient monument got its name. Englec, a daughter of Elcmar, was the lover of Aonghus, but he was playing Samhain games with his friends. Midir took her away, to Síd ar Femin (Slievenamon in Co. Tipperary). Finding that she is gone, Aonghus performs a strange ceremony of mourning for her. He casts some "blood red nuts of the forest", which are hazel nuts, on the ground and makes a lamentation around them. 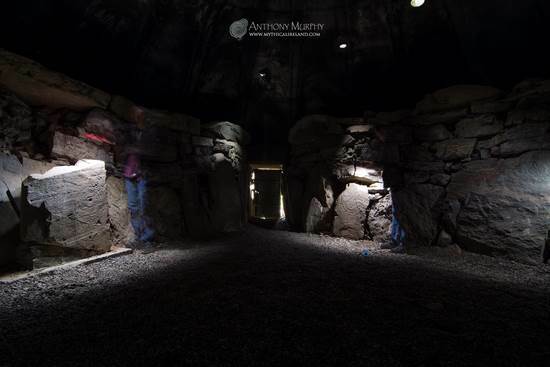 American researcher Helen McKay has suggested that this is a metaphor for the children who died in Stone Age times, and that the casting of the nuts on the ground represents the placing of the bone fragments of the deceased on to the floor of the chamber of Knowth. (See separate blog post on the Nut Lamentation here). I was lucky to have been able to visit Knowth yesterday, shortly before the monument is closed for the winter. 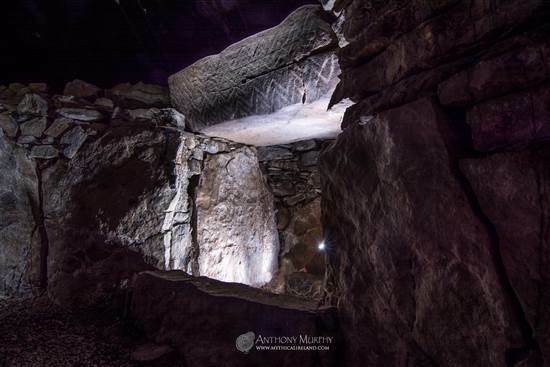 I think it's ironic that the site should close at Samhain, when Aonghus's lover was whisked away and he lamented for her, and that it opens again at Easter, which may be an important aspect of Knowth's astronomical function. 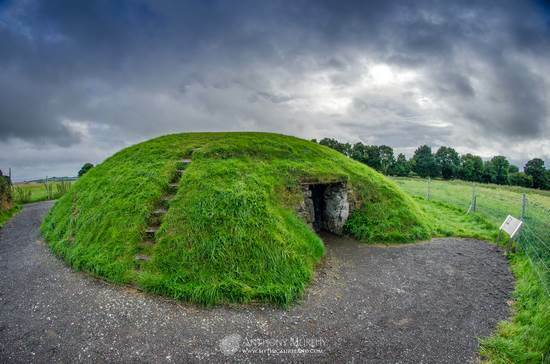 Knowth's name is an anglicisation of its ancient Irish name - Cnogba, which according to the Dindshenchas is either from Cnoc Bua, the Hill of Bua/Buí, an ancient goddess, or Cnó Guba, the Nut Lamentation. 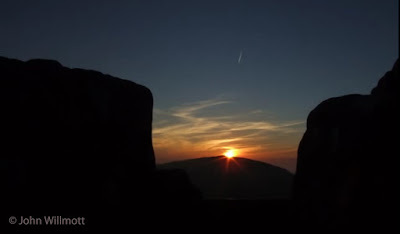 Of further significance is that some ancient stone monuments appear to have alignments towards Samhain sunrises and sunsets. For instance, Duma na nGiall or Mound of the Hostages on Tara, has a passage that faces (broadly speaking) the sunrise on Samhain and Imbolc (November/February cross-quarter festival). 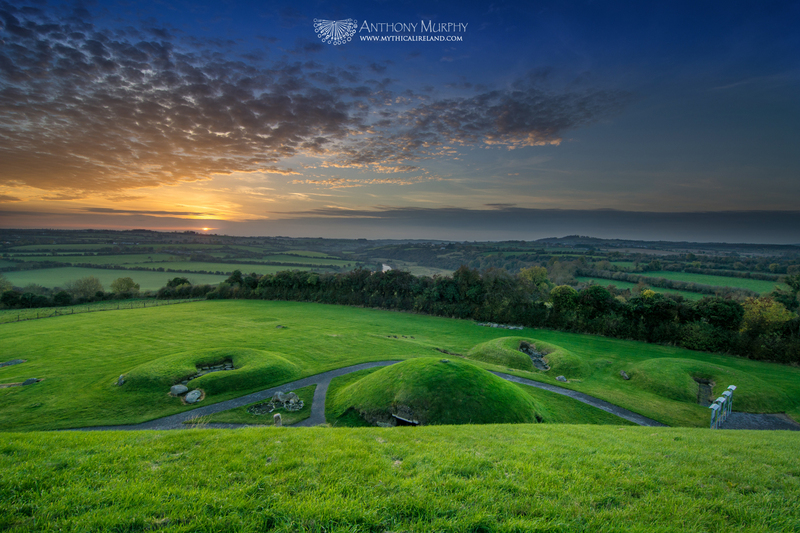 Dowth's northern passage points towards Newgrange for Samhain sunset (pictured below in a view from the top of Dowth mound). 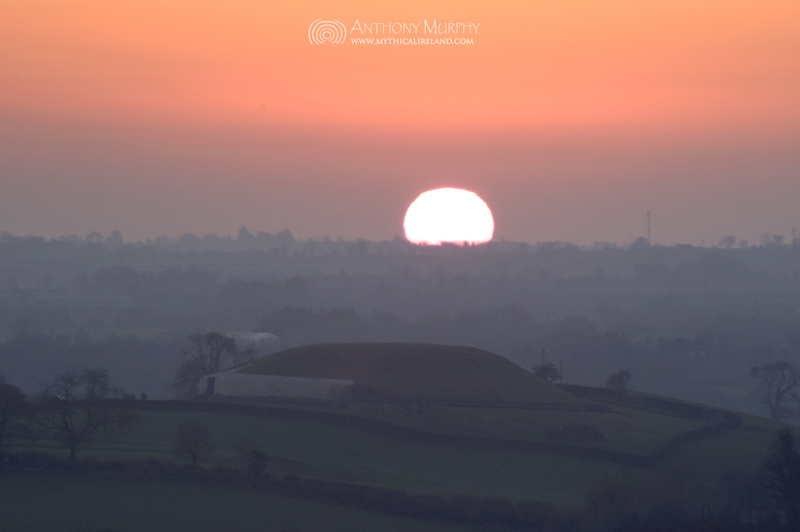 Samhain sunset over Newgrange viewed from Dowth. Labels: ancient, calendar, celebration, feast, festival, Halloween, Ireland, Knowth, Samain, Samhain, stories. The excavation of a 5,000-year-old passage-tomb located at the Hellfire Club on Montpelier Hill overlooking Dublin is significant for a number of reasons. It's the first excavation of a passage-tomb in about 20 years, and its location on a hill with sweeping views down across the Irish capital city of Dublin makes it a truly unique archaeological dig. 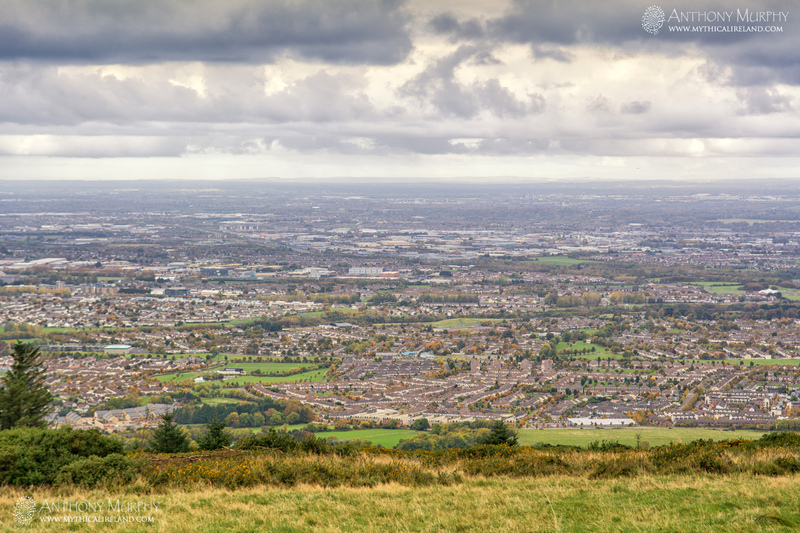 There are fantastic views of Dublin city from Montpelier Hill, where the Hellfire Club dig is located. 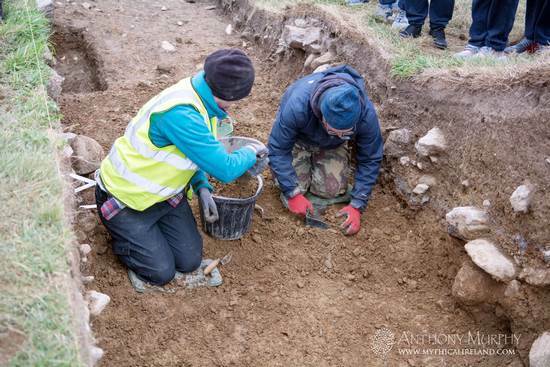 However, the dig, led by Neil Jackman of Abarta Heritage, is significant for other reasons too. Firstly, the dig will help to prove that the monument is, in fact, the remains of a Neolithic passage-tomb. 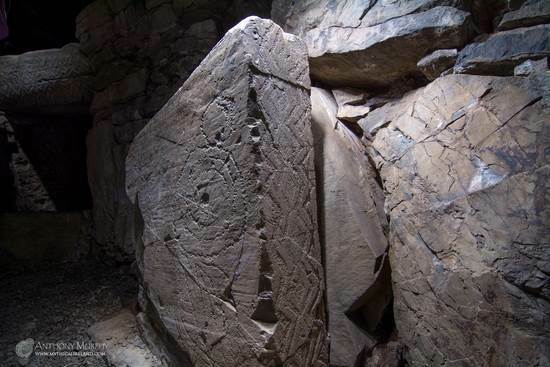 Secondly, and more importantly, if radiocarbon dating is successful, it will be the first time that a monument in the Dublin and Wicklow Mountains cluster of passage-tombs is properly dated. Some of these monuments were excavated in the early 20th century, in pre-carbon dating times. 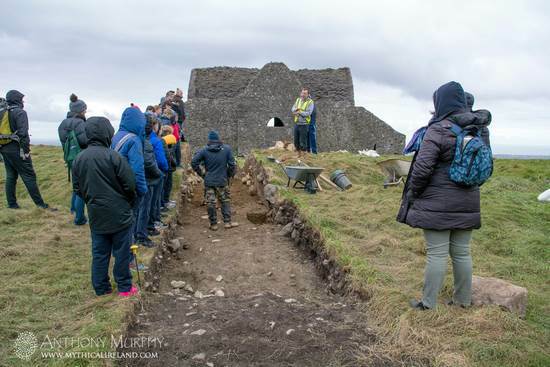 Visiting children from a Dublin school find out about the excavation at the Hellfire Club. Regrettably, the monument has been much disturbed and partially destroyed. Large amounts of cairn stones were removed for the construction of a building known as the Hellfire Club, which was originally built as a shooting lodge by politician William Connolly, in 1725. Larger stones, including most of the kerb stones and the structural passage and chamber stones, were believed to have been dug out and broken up as foundation material for the laying of the nearby Military Road about 200 years ago. So the passage-tomb at the Hellfire Club, although it was originally reasonably large in size at c.35m diameter, is now just a shadow of its former self. The second trench which was excavated at the Hellfire passage-tomb. However, the importance of the archaeological work is that it will help to date the site - and that will be exciting. For instance, archaeologists will want to know if the site perhaps predates the famous Boyne tombs of Newgrange, Knowth and Dowth. Perhaps these mountaintop cairns are as old as those in Loughcrew, Co. Meath, or even those in Co. Sligo. 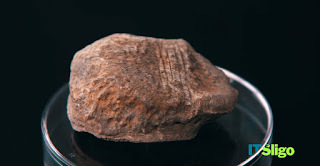 The polished stone axe head which was found during the dig, being held by yours truly! Very little remains of the internal structure, for reasons outlined above. 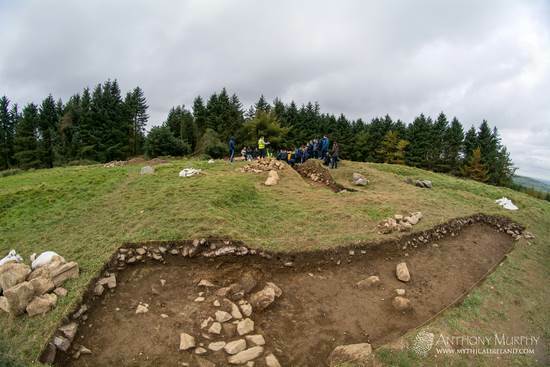 However, parts of the central area of the cairn have been revealed during the dig, including some layering of turves, and a large stone believed to have been an orthostat, which was not removed two centuries ago, was also uncovered. 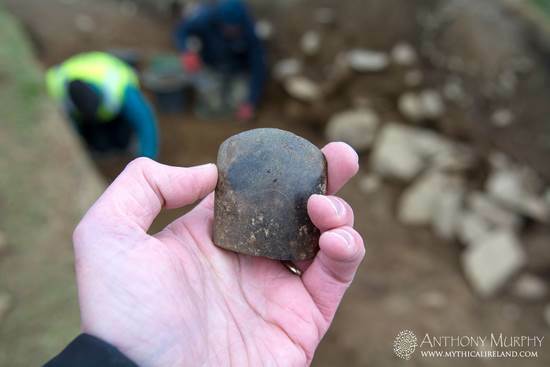 One nice find was a polished axe head, which I was lucky to have been able to hold in my hand and photograph during the visit. 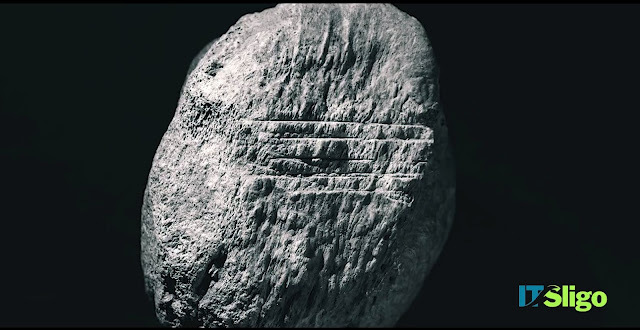 Neil Jackman said the axe head shows no sign of having been used, leading him to speculate that perhaps it was left in the tomb as an offering. Archaeologists working in one of the trenches of the ruined passage-tomb. 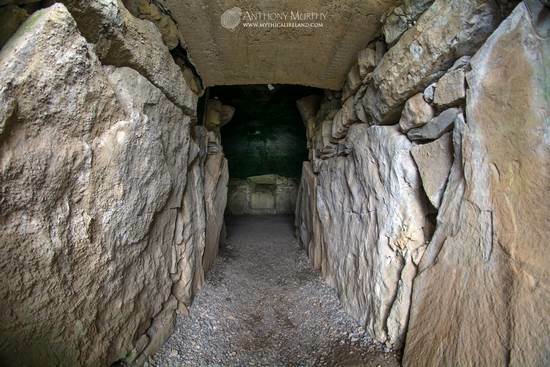 Another thing that always interests me about passage-tombs is their relationship to other monuments and landscape features. While I was there, I was able to see that there is a grand vista that takes in huge amounts of the ancient landscape. 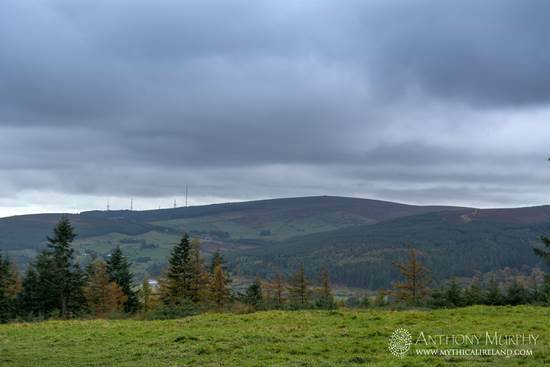 This vista sweeps from the easy, with Fairy Castle on the mountain at Three Rock, across Dublin Bay to ancient Ben Edair, and taking in views in varying degrees of distance of places including the Cooley and Mourne Mountains, the Fourknocks ridge, Hill of Slane, the Hill of Tara, and even, far to the northwest, the ancient cairn-topped hills of Loughcrew in Co. Meath. 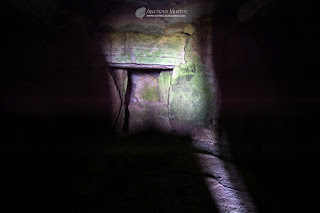 The Fairy Castle passage-tomb in Ballybrack townland, to the east of Montpelier Hill. The archaeological dig at the Hellfire Club is finishing this week, after just four weeks of work. It will be interesting to see what carbon dates reveal about the age of the site. In the meantime, if you would like more information about the dig, visit the Abarta Heritage Hellfire Club Archaeological Project website. Special thanks to Neil Jackman for allowing me to visit the site and take photographs. 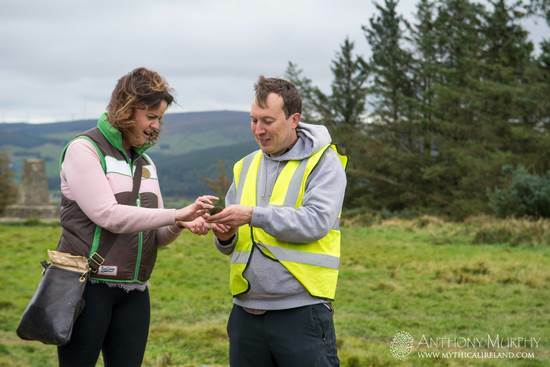 Neil Jackman showing a visiting teacher the polished stone axe head. Some very significant news (and opportunities hopefully) on the publications front. My book Newgrange: Monument to Immortality has sold out. 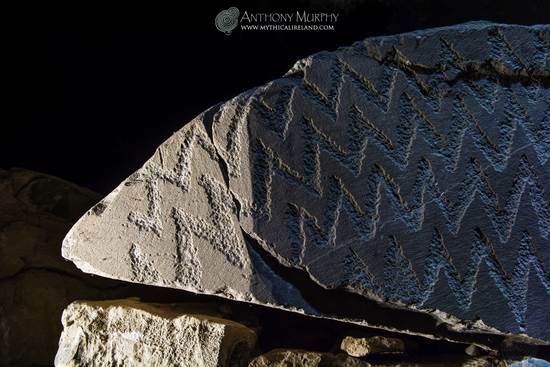 This is very positive news and shows how popular this work has been as an alternative avenue into exploring Ireland's most precious ancient treasure. The even better news is that I've just spoken to The Liffey Press and they're going to do a second print run, which should hopefully be available some time in November. This is the second time one of my books went out of print. Island of the Setting Sun (with co-author Richard Moore) sold out in just 12 months after its initial publication in 2006, and was revised and expanded and republished in early 2008. HOWEVER, Island of the Setting Sun also recently sold out (again), and in this case it is not being republished by The Liffey Press. So I will be seeking an alternative publisher as I believe this book will continue to sell for years to come. Having read Anthony's excellent non-fiction titles, I was enthusiastic about his foray into fiction. What a treasure! I smiled, laughed, thoughtfully let tears run down my cheeks and didn't want it to end! Sometimes I felt myself telling the story of the seandroi, others I was the young, rapt listener and throughout felt that this is how history is supposed to be conveyed. My wife and I rarely like to read the same genre but I had to share this with her and she loved it too! Anthony, please publish in hardcover so this wonderful gift can be passed on and on! Anthony Murphy's books - non-fiction (left) and fiction (right). One boy can be more powerful than an army. A boy meets a mysterious talking bird, a floating hawk who claims to have lived forever. Guided by the bird, he glimpses his own destiny. He alone must save mankind from rushing over the precipice to his doom. The boy will have to prevent an apocalypse. But how? The bird, who calls himself the Sebac Gaoth (Hawk on the Wind), takes him on an extraordinary journey through mind and space to meet the Tuatha Dé Danann, those who are foretold to come to the aid of man for a battle to save the world. In the process of revelation, the boy helps the Sebac to realise something of his own origins and destiny. 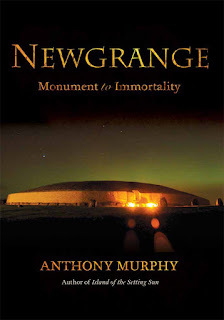 On top of all of the above, I am continuing research into another work of non-fiction, which will be based on some of the most ancient myths of Ireland, offering new insights and tracing the creation and origin myths of this ancient island. I'm hoping to make progress on this book during the coming winter, all going well. 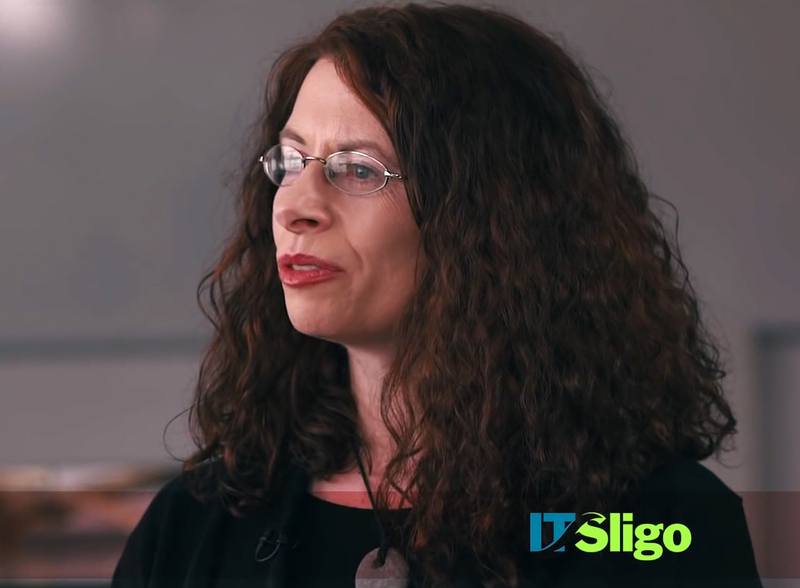 Dr. Marion Dowd of IT Sligo. This one sample of bone rewrites the history of Ireland and adds 2,500 years to its human story. When you climb Sliabh na Caillighe (the hill known today as Carnbane East, Loughcrew), it's difficult not to think of what motives and forces inspired a community of people in the far distant past to create great monuments of stone on the peaks of these hills. Sunset over Carrickbrack and Carnbane West viewed from Sliabh na Caillighe, Loughcrew. How did they do it? Why did they do it? How did they stay warm up here, on autumnal days like today, when the wind is blowing and bringing water to the eyes? How many people laboured here, in honour of what gods, and at what cost to their physical and spiritual beings? You wonder about what could have driven them to such fabulous exploits, to create these permanent memorials of stone in honour of ideals and aims that we can only feign to understand. 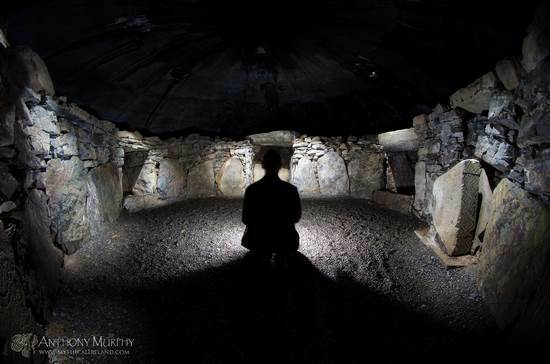 Ambient light streams into the chamber of Cairn T.
But, in the fading light of day, you catch sight of a marvellous vision. The clouds and the sun create a powerful drama, a play on the stage of the western horizon, causing sudden and thrilling changes in colour and light that bring a sense of rapture. You are witness to another dazzling moment in nature's constant dance. The haze causes the landscape to fade into ever-dissipating layers of mistiness, and the scattered beams of the sun create the impression of a golden opening to something wondrous beyond the cairn-topped hills. Perhaps this is as close as you can get to actually seeing Tír na nÓg. The eye beholds; the mind tinkers with possibilities; and the heart is greatly warmed by the glory of the scene. And here, at this sanctified spot where the ancestors gathered in the ancient yesterday, you feel like you have made a connection with them, across time and space and landscape. You grasp with the notion of an otherworld in the here and now, one that transcends time and place, so that you can call out to them and they will answer. And you wish and hope that the landscape will stay like this forever. Forever ancient. 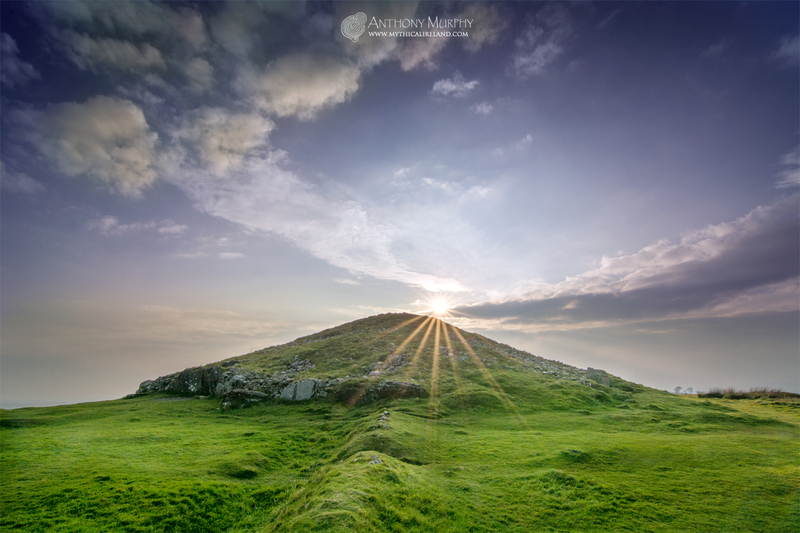 The evening sun over Cairn T (the Hag's Cairn) at Loughcrew. The Milky Way has been known by several names and phrases in Irish mythology and folklore. Principal among its names seems to have been Bealach na Bó Finne, which means the Way of the White Cow. In this respect, it seems to have been regarded as a heavenly reflection of the River Boyne. A variant of this is Bóthar na Bó Finne, the Road of the White Cow. The goddess Bóinn's name is from Bó and Find, meaning White Cow. In the Dindshenchas, we are told that the Boyne river was formed when she approached Nechtain's Well and it overflowed, washing her along the river, mutilating her, and finally carrying her out to sea where she was drowned. There, we are told, her lapdog Dabilla was turned into the Rockabill Islands. This is undoubtedly a creation myth. 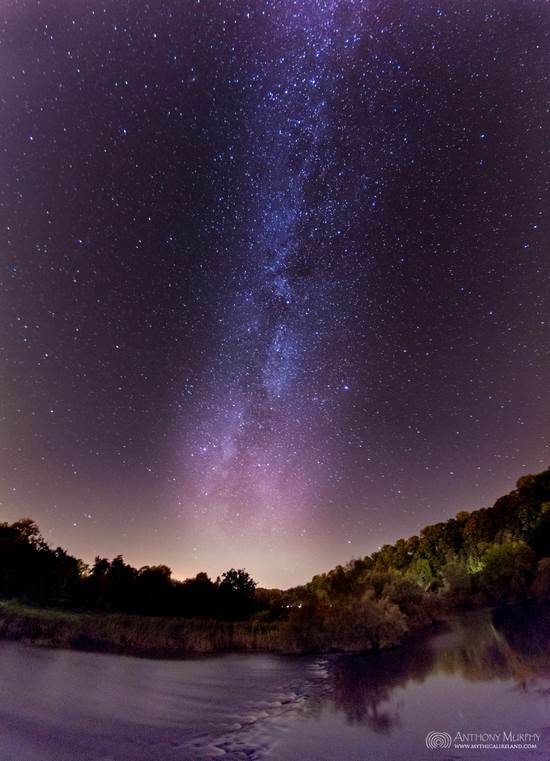 The Milky Way (Bealach na Bó Finne) over the River Boyne (Abhainn Bó Finne). Síog na Spéire - the streak or stripe of the sky. Mór-Chuing Argait - A name given for the Boyne in the Dinshenchas meaning "Great Silver Yoke", which might also have been a description of the Milky Way. Smir Find Fedlimthi - the White Marrow of Fedlimid, also from the Dindshenchas poem Boand I.
Claí Mór na Réaltaí - the Great Fence/Ditch of the Stars. Sgríob Chlann Uisnich - Track of the children of Uisneach. 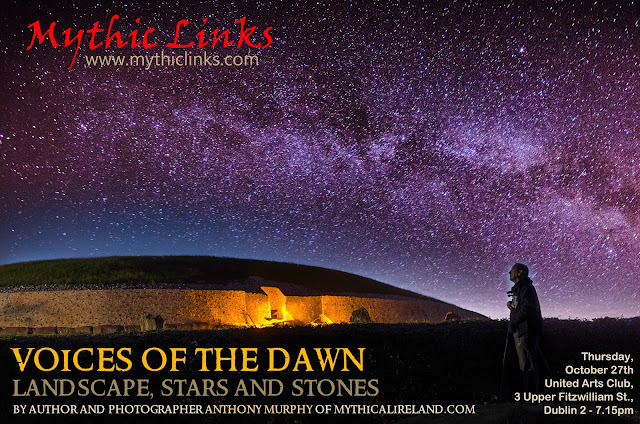 This last one is contained in a beautiful folk memory, recalled in Scotland and in Nova Scotia but relating to an Irish myth (Deidre and the Sons of Uisneach) which appears to be the recounting of an ancient creation myth about the Milky Way. 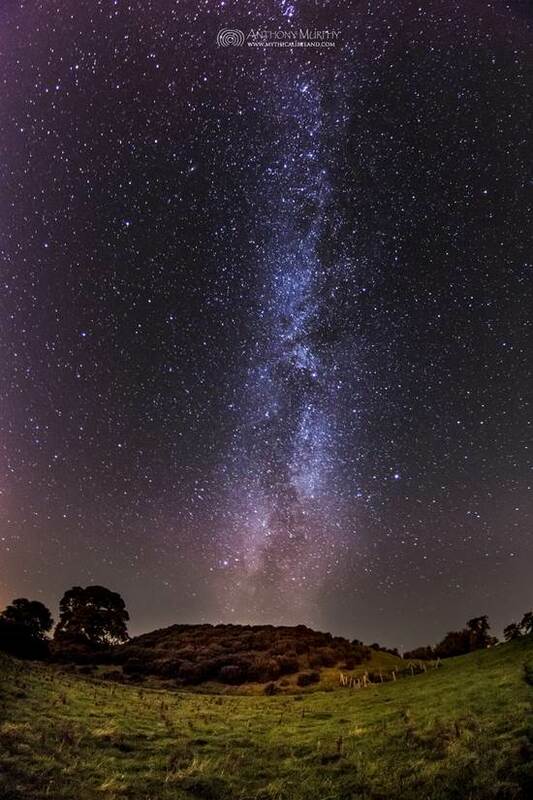 In this story, the Milky Way is known as Sgríob Chlann Uisnich. It is not surprising to see the Milky Way described in conjunction with the swan. The constellation we know today as Cygnus may have been important to Stone Age astronomers and it appears to fly along the heavenly river. In the Nova Scotia version of Deirdre and the Sons of Uisneach, the origin of the Milky Way galaxy is depicted as emerging from two trees as separated by a loch, as if to complete an arch between them.This episode is placed in the well-known Ulster tale if Deirdre, whose lover, Noíse, is one of the Children of Uisneach. Sgríób Chlann Uisnich - the track of the Children of Uisneach - over the Dowth megalithc mound. (1) Paice MacLeod, Sharon (1960), Celtic Myth & Religion, p.175. (2) Carmichael, Alexander (1914), Deirdre and the Lay of the Children of Uisne, Hodges, Figgis & Co., p.152. (3) MacKillop, James (2006), Myths and Legends of the Celts, Penguin Books, p.292. A wide-angle view of Fourknocks from the northeast. It was excavated and restored in the 1950s. Fourknocks is a small megalithic passage-tomb on a ridge in southeastern County Meath, about 9 miles (14.7km) miles from Newgrange. The passage of Newgrange actually points towards Fourknocks, although neither site can be seen from the other due to intervening hills. There were two mounds excavated at Fourknocks by archaeologist P.J. Hartnett in the 1950s - this one, labelled Fourknocks I, and a nearby mound known as Fourknocks II. The latter was found to contain a cremation trench, where it is thought the remains of the deceased were cremated before being placed in Fourknocks I. 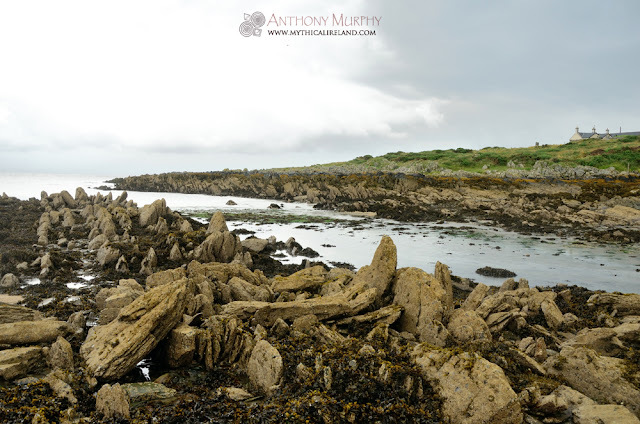 This is a small selection of photos and a video from Fourknocks I, showing several of its features. The short passage leading into a large, egg-shaped chamber with three recesses. The entrance lintel stone has been placed on its side in the chamber for protection. The western or right-hand recess. It is the largest recess and has a small plinth stone within. A view towards the entrance, showing the lintel (left) and the "guardian" stone (right) illuminated. 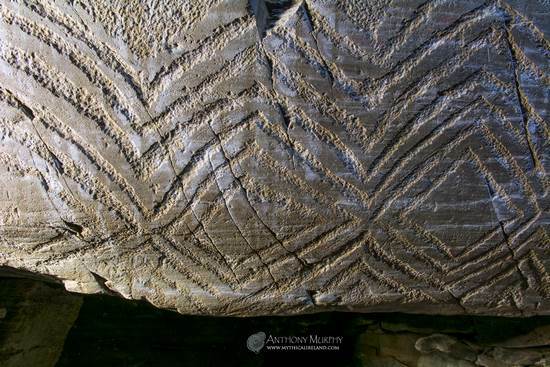 Zig-zag carvings on a lintel above the interior of the passage. Their meaning is not known. 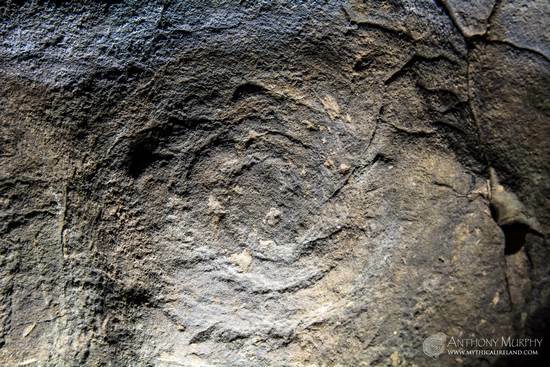 Concentric circles on another stone near the passageway. The stone is known only as Stone B.
Honouring the ancestors at Fourknocks. 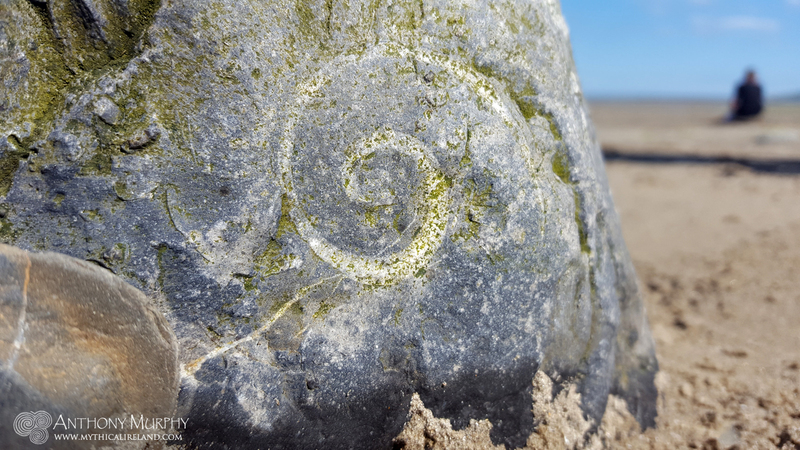 A faded spiral on Stone B.
Lozenges and zig-zags on the lintel of the southern (end) recess. Don't forget to watch this short video from inside Fouknocks. It gives a brief idea of the size of the monument and some of the features inside.